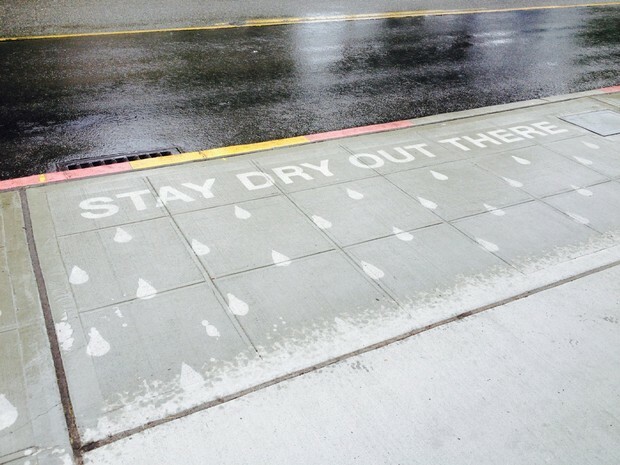 This street art project in Seattle uses invisible sidewalk ink. It only appears when there’s rain. 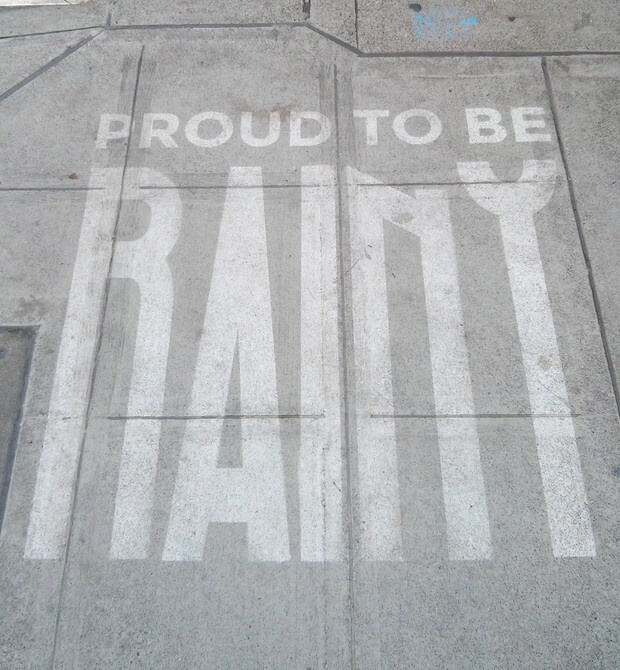 Local magician Peregrine Church has created 25 to 30 such “rainworks” around town, with more to come. He hopes the sidewalk messages will bring a little cheer to people who are sick of the blah weather. 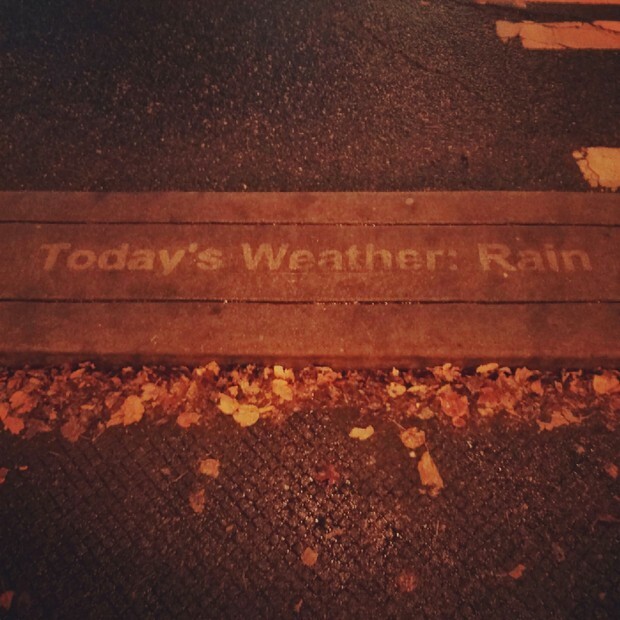 To write their messages, Church and his friend Xack Fischer spray a biodegradable, environment-friendly, water-repellant coating onto the sidewalk through a stencil. When it rains, the surrounding concrete gets wet, but the sprayed bit of concrete stays dry. Inspired? Here’s a two-minute explainer on how to make your own Rainwork.